Start taking classes at Barre Kailua and other studios! 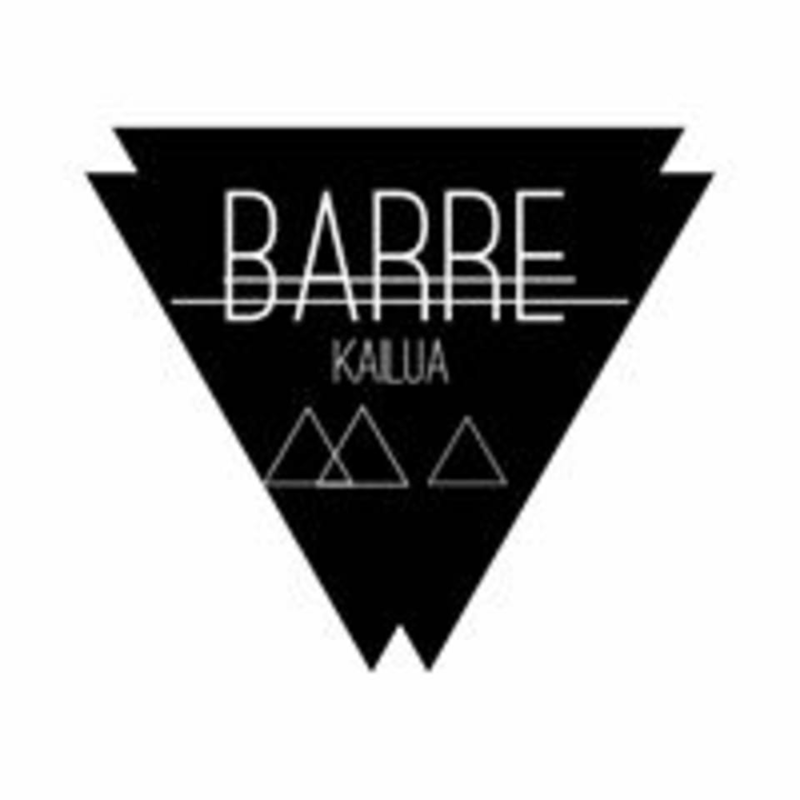 Barre Kailua; is a studio offering a unique and challenging class that is a blend of yoga, pilates and ballet strength training. This total body workout uses the ballet barre to preform a combination of isometric exercises and mindful stretches, to create a sculpted physique, stronger muscles and enhance flexibility. Their barre workout is designed to create a leaner, longer and stronger you; as they strive to inspire and encourage every client to achieve their own personal goals. Please wear comfortable exercise clothes. Slightly form fitting clothes are advised so that the instructor may provide alignment cues and corrections. Amazing workout combining yoga and cardio! Keli is a great instructor ???? My first barre class, loved it, I was feeling the burn and Keli was a great instructor! This is one of my favorite classes. It’s for all levels. The instructor is awesome. She gives very easy to follow instruction throughout the class. It’s a lot of fun and you really get a great sweaty workout. Great workout at a really cute little studio- I felt comfortable in the space &amp; had an awesome workout! Keli is amazing! My boyfriend and I love her sequencing and playlist of songs. Yoga sculpt is great for an active stretch while toning up the muscles and getting in a lot of cardio. Kelis class is our favorite at Barre Kailua. Plenty of parking and all equipment is on site, no extra charge. Mahalo Keli! Such a great class. Keli is excellent! This was the best class I've attended so far. I felt like there was more pulsing and focus on smaller movements and more ballet-based which was challenging for me. Im booking this again! Loved it! Loved this class ! Its amazing how difficult it is using only resistance bands and 2lb weights ! The instructor was really friendly !